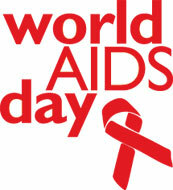 Tomorrow is World AIDS Day. Please mark it in your own way. Wear a ribbon talk about it, give money to charity, wear a condom, just do something!!! The youtube video is a Medicin Sans Frontiers Ad. Next Next post: Gays, a Place in Religion?!? !